Description: This program helps you to keep your computer clock accurate by synchronizing it with atomic time servers. It has the basic features enough to maintain the computer clock accuracy at acceptable level. The program has an extremely easy-to-use interface and implements the 'one click' approach to simplify the clock synchronization tasks. Description: 1Click Time Synchronizer is a utility that helps you keep your system time always accurate by synchronizing it with the highest precision atomic clock servers on the Internet using the Network Time Protocol. Download now! Description: (1) The main purpose of the program is synchronizing PC clock using HTTP protocol. (2) It works as NT Service so can be used under user login with restricted rights. (3) The program can be used with inside LAN HTTP server without any outgoing connections. The script that shows the server time is delivered with it. 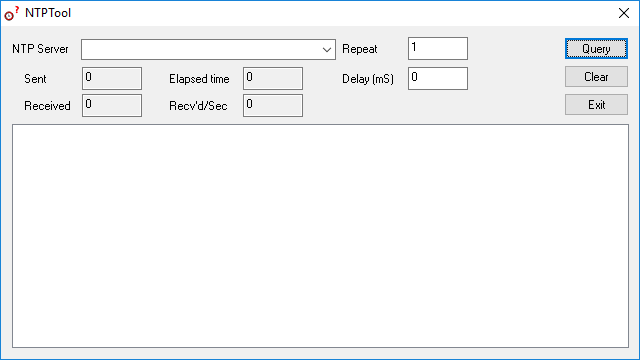 (4) If time jumps the program synchronizes PC clock immediately. Description: Advanced Time Synchronizer is a powerful and easy-to-use computer time corrector. It works with time servers on the Internet. 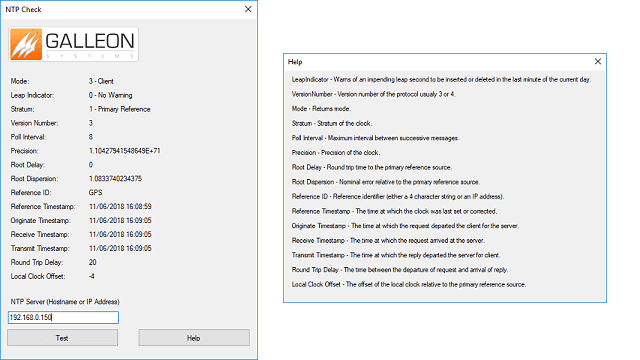 Advanced Time Synchronizer can update the computer clock repeatedly at regular intervals from one second to few months, supports most time synchronization protocols, proxy servers, and auto-dialing. 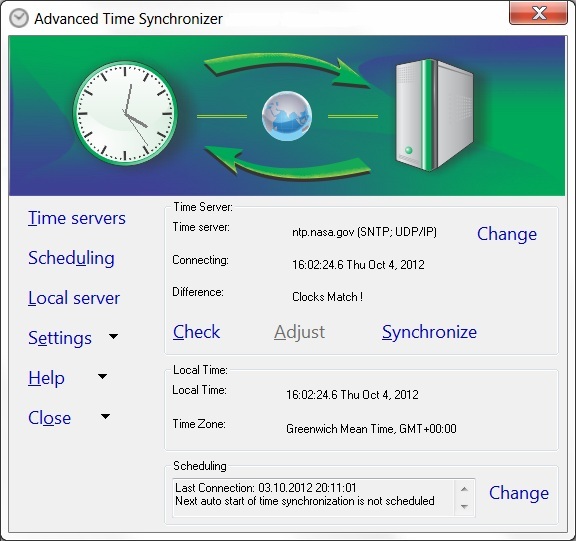 Advanced Time Synchronizer can also work as a time server for Local Area Network and can be installed as a Windows Service. Description: The Galleon Systems NTP Server Check Tool is used to send NTP version 3 Client requests to a time server. Description: The Galleon Systems NTP server tool tests the accuracy of your NTP time server. 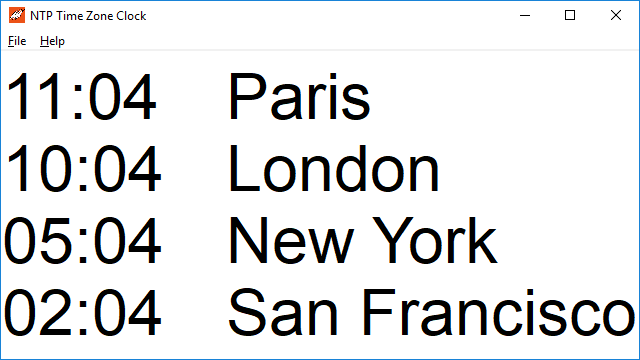 Description: This downloadable NTP time zone clock displays the local time of over 300 cities around the world.